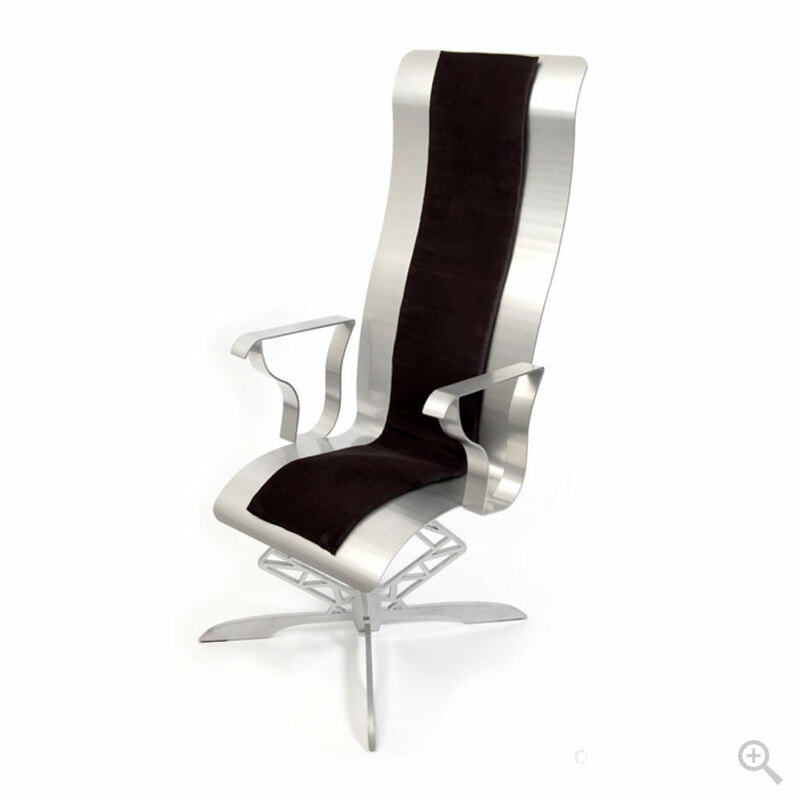 This custom chair is perfect for a living room or office setting. 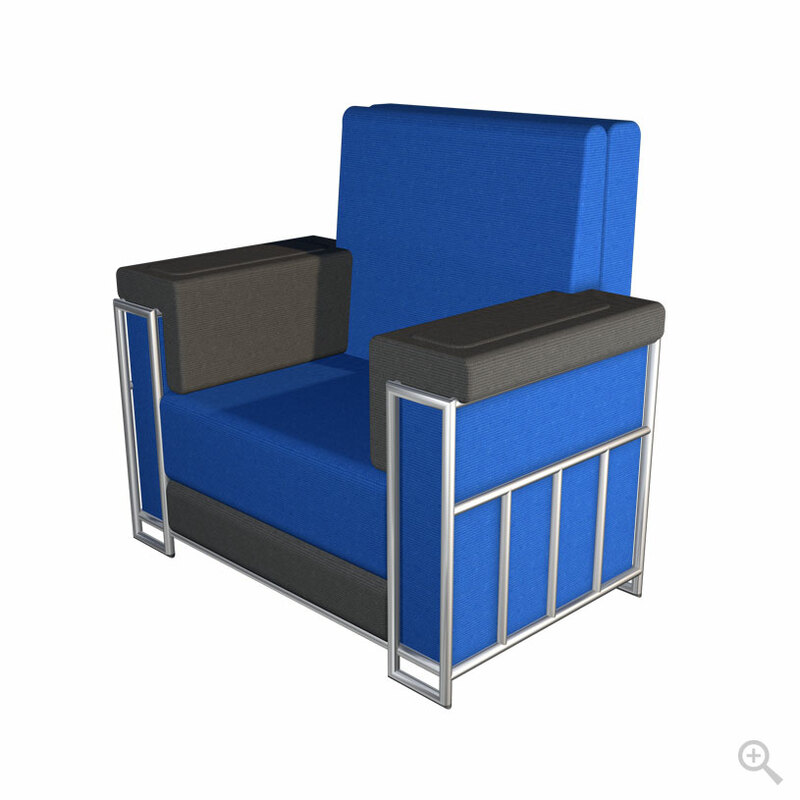 The back and seat are blue and gray fabric. 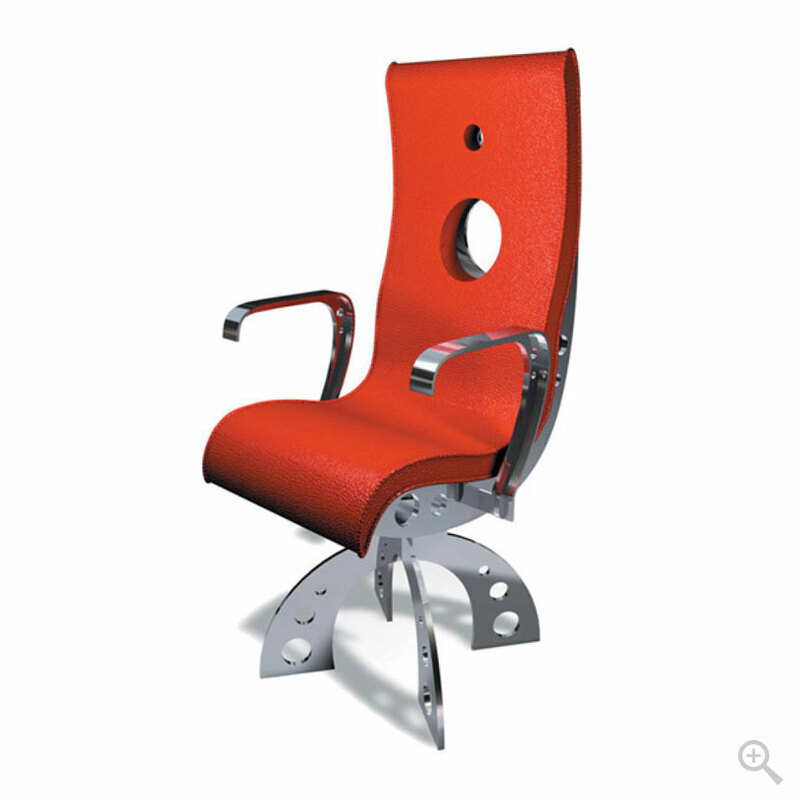 The chair features a tubular metal frame. 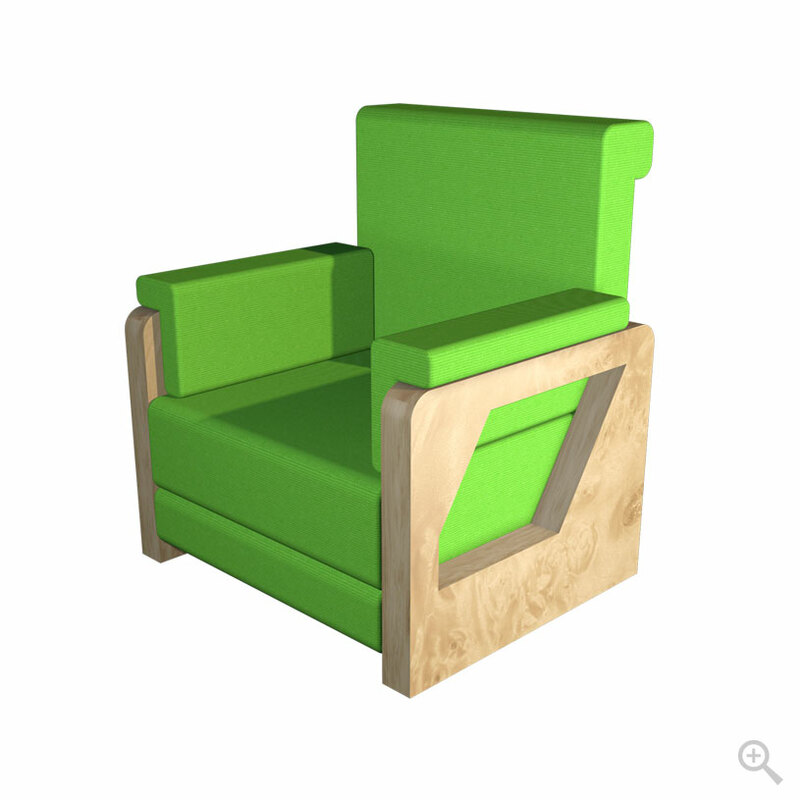 *Other colors are available.